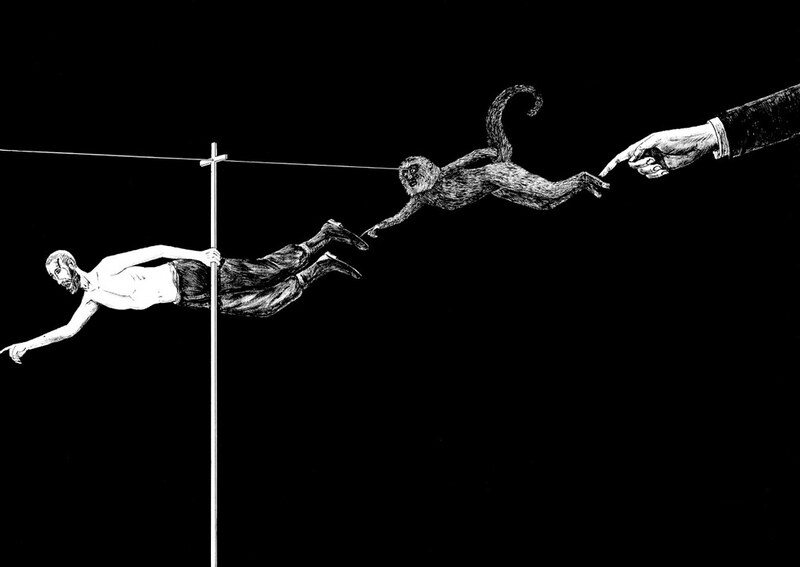 The third issue of Le Petit Néant, edited by Miguel Angel Valdivia and art directed by Giulia Garbin, features a wordless sequence of illustrations by more than twenty contributors from around the world. See Elizabeth Glickfeld’s review of the first issue on the Eye blog. Illustration by Marie Jacotey in Le Petit Néant no. 3. Top: Illustration by Miguel Angel Valdivia in Le Petit Néant no. 3. 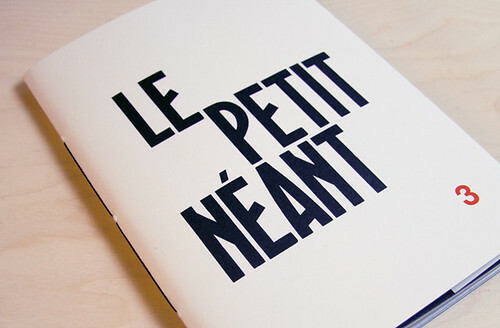 Cover of Le Petit Néant no. 3, edited by Miguel Angel Valdivia and art directed by Giulia Garbin. 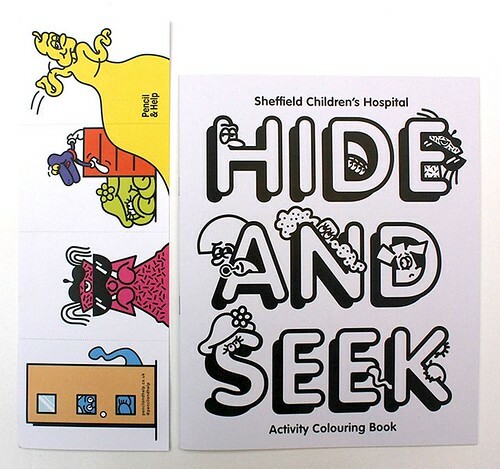 Hide and Seek, designed and illustrated by Pencil & Help, is a children’s activity colouring book that includes characters such as Bangy, Sandman and Daisy who are based on characters drawn by patients at Sheffield Children’s Hospital. 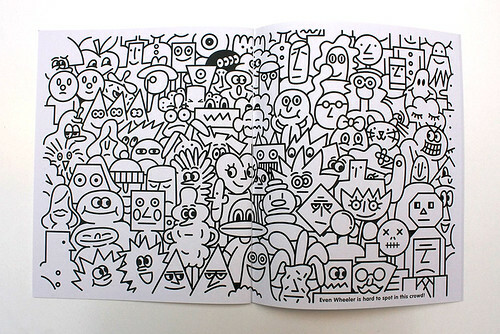 Pencil & Help is a community design / illustration ‘side project’ founded in 2013 by Mark Long (see also Long’s illustration for ‘Crayon game’ in Eye 93) and Mark Oliver. 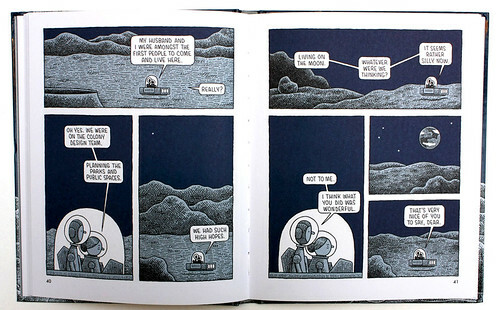 Tom Gauld’s Mooncop (Drawn & Quarterly, 2016) is a charming book that treats the subject of lunar loneliness with the light touch he demonstrated in Goliath (see review in Eye 83). The book has also been published in French, Spanish, Polish and Russian, and a Korean edition is on the way. 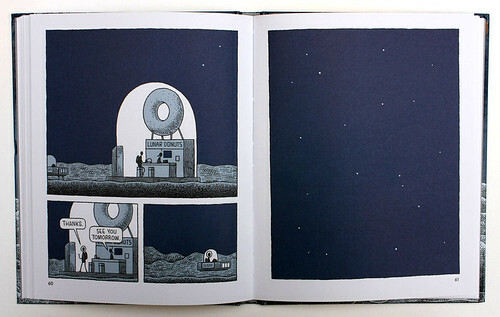 Spreads from Mooncop by Tom Gauld. 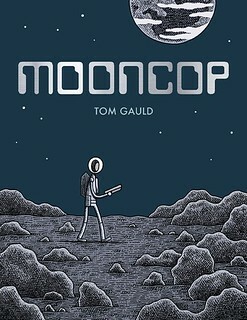 Tom Gauld, Mooncop, Drawn & Quarterly, £12.99 / $22.95 CAD / $19.95 USD. 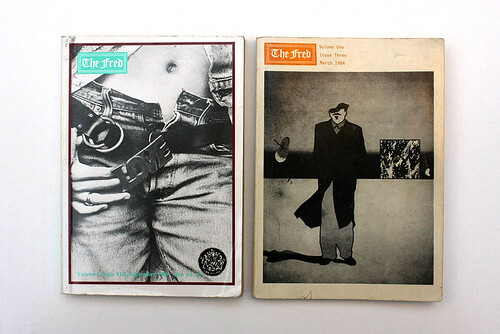 Eye’s distinguished neighbour Ian Wright (and now contributor, with a review in Eye 93) has discovered some copies of 1980s indie mag The Fred. 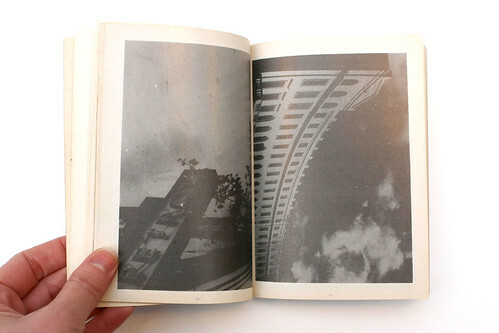 The small-format, murkily printed publication, put together by Ken McDonald and others, boasted some remarkable artwork, poems, articles and other texts from artists and illustrators including Bob Lawrie, Andy Martin and Gilbert & George and writers including Vivian Goldman, Joolz and Christopher Logue. The Fred was given away free at boutiques and bookshops, and is peppered with advertisements for such quintessentially 1980s brands as Vivienne Westwood, Boy, (hairdressers) Smile and Blueprint magazine, then art directed by Eye’s Simon Esterson. The Fred, issues eight (September 1989), cover photo by Kadir Gurey, and three (March 1984), cover by Duggie Fields. Spread from The Fred. 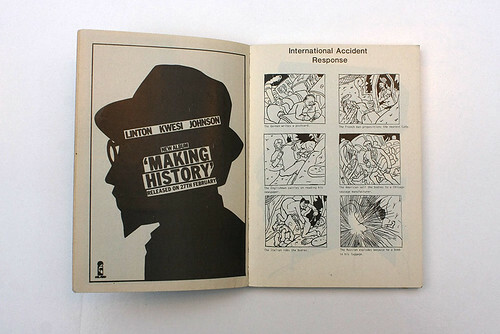 showing advertisement (left) and uncredited ‘International Accident Response’. Spread from The Fred. volume one issue three, March 1984, showing part of ‘Pear Drama’ by photographer Kadir Guirey. Knife, by writer and broadcaster Tim Hayward shows a personal selection of knives and knife accessories from around the world. Photographs of knives against handsome slabs of wood, butcher’s aprons and worktops, taken by photographer Chris Terry, are complemented by detailed descriptions of each featured blade, and practical tips: seven ‘knife strokes’ (including the rocking chop, sawing cut and chop); ‘how to sharpen’; and ‘10 Rules of Carving’. See ‘Raw like sushi’ in Eye 87 which features the now closed alternative food zine Fire & Knives, founded by Hayward, with design by Rob Lowe (aka Supermundane). 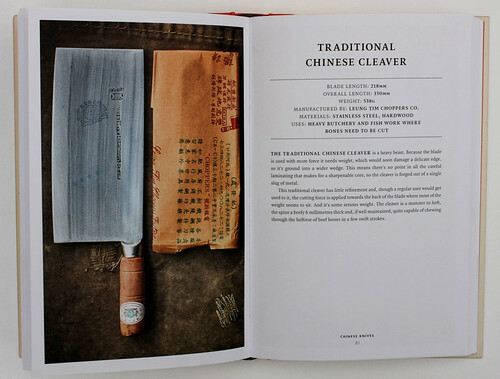 Spread showing the traditional Chinese cleaver, a particularly heavy blade which is ‘capable of chewing through the heftiest of beef bones in a few swift strokes’. 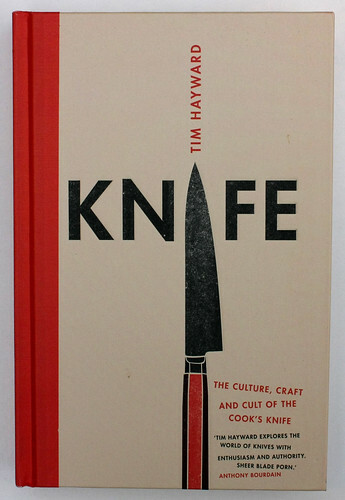 Tim Hayward, Knife: The Culture, Craft and Cult of the Cook’s Knife, Quadrille, £20.99 / $29.99. Design and cover illustration: Will Webb. Creative director: Helen Lewis. Photos: Chris Terry.